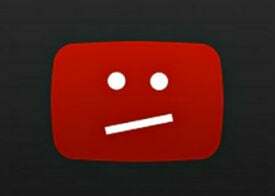 Major labels including Universal, Warner Bros, Sony, and others have teamed up to sue two more YouTube-ripping sites. FLVTO.biz and 2conv.com are reportedly operated out of Russia, but according to information provided to the US Trade Representative by rightsholders earlier this year, the sites provide MP3 downloads to users from servers hosted in Germany. A lawsuit reportedly filed Friday (but not yet publicly available at the time of writing) has Universal, Warner Bros, Sony and other major record labels targeting FLVTO.biz and 2conv.com, Billboard reports. That these two portals have effectively become targets for the RIAA isn’t much of a surprise. Last year the music group submitted its list of “notorious” piracy websites to the U.S. Government, noting that it’s tracking 70 ‘ripping’ sites while detailing several, FLVTO.biz and 2conv.com included. “The overall popularity of these sites and the staggering volume of traffic it attracts evidences the enormous damage being inflicted on the U.S. record industry,” the RIAA wrote. The RIAA’s claim that these sites generate huge volumes of traffic is beyond dispute. According to SimilarWeb data, FLVTO.biz is a monster attracting more than 94 million visits per month, making it the #322 most popular site in the world. With almost 12% of that traffic coming from the United States, it’s no wonder the RIAA is concerned. While 2conv.com is a smaller site, it too is extremely successful. Every month the site pulls in around 23 million visitors, giving it a global ranking of #1,021. Unlike FLVTO, 2conv is more popular in Poland, Brazil, and Italy than it is in the United States. It’s reported that both sites are operated out of Russia but according to a report filed by the IIPA earlier this year, they’re actually connected and serving MP3s to the public from servers in Germany. “The recording industry also notes many stream-ripping services believed to be sourced from Russia including Flvto.biz, 2Conv and Fly2mp3.org (all three are essentially the same service operating from different domains). The sites provide downloads of converted YouTube videos to users as MP3 audio files (from servers in Germany),” the IIPA wrote. The hosting position doesn’t appear to have changed much since the IIPA report was filed in February. FLVTO.biz and 2conv.com are hosted on consecutive IP addresses handled by German-based hosting company Hetzner Online GmbH. Supporting the claim that they’re connected by infrastructure, both sites provide the same email address in the event copyright holders want to get in touch. It’s reported that both the RIAA and IFPI did that but without success. “These sites have no place in today’s music market where fans have access to millions of songs from dozens of legitimate services that pay creators and value their work, all at the tap of a finger,” the RIAA said in a comment. How these platforms will respond to the filing of a lawsuit in the United States isn’t clear. In their respective ‘Copyright Claims’ sections (which are identical), both point out that their cooperation under the DMCA is purely voluntary. “Although we are not subject to United States law, we voluntarily comply with the Digital Millennium Copyright Act. Pursuant to Title 17, Section 512(c)(2) of the United States Code, if you believe that any of your copyrighted material is being infringed on the Website, we have designated an agent to receive notifications of claimed copyright infringement,” the sites state. Despite the major labels filing a copyright infringement suit against YouTube-MP3 in 2016, a YouTube-ripper case has never gone to trial in the United States. That case was settled confidentially, with YouTube-MP3 handing over its domain to the RIAA. This lack of legal clarity previously prompted the Electronic Frontier Foundation (EFF) to inform the USTR that not all stream ripping sites facilitate copyright infringement by definition. “RIAA’s discussion of ‘stream-ripping’ websites misstates copyright law. Websites that simply allow users to extract the audio track from a user-selected online video are not ‘illegal sites’ and are not liable for copyright infringement, unless they engage in additional conduct that meets the definition of infringement,” the EFF wrote. While the case never went to trial, it seems unlikely that YouTube-MP3 would have survived the claims of direct infringement leveled at it. It was reported that YouTube-MP3 stored converted MP3 files on its servers long term so while the ripping and conversion may have resided in a gray area, the storage of infringing files would have been tougher to defend. At the time of writing, both FLVTO.biz and 2conv.com remain online.